The beautiful banner on the homepage is a great way to increase interactivity, capture the attention of consumers. 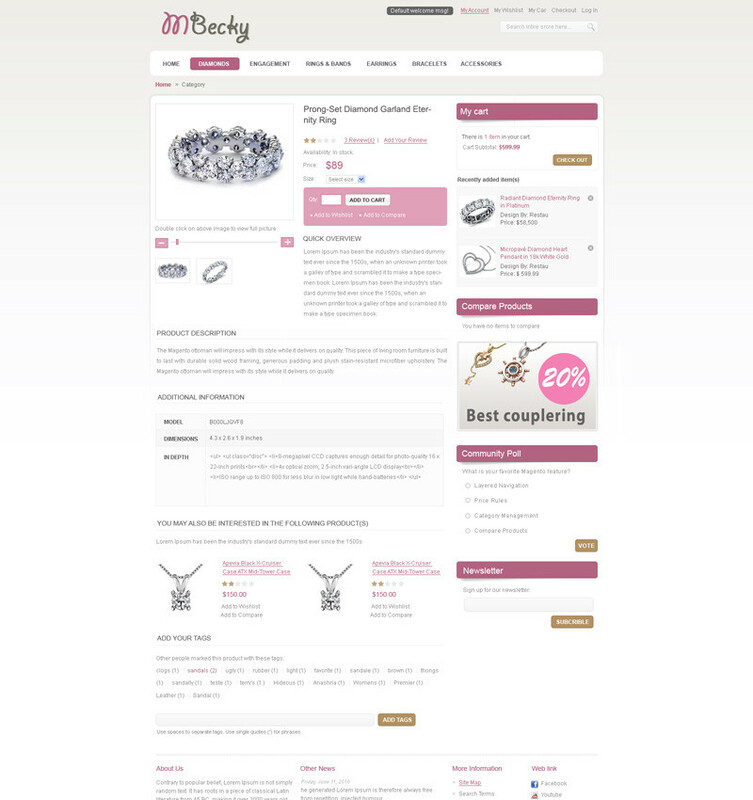 In addition, easy navigation system makes an ease for customer when visiting website using this theme. Also, it is very easy to install, easy to use and edit. This theme uses Easy Banner extension, Smart Menu extension, Easy Testimonial extension.